You may not be ready to deck the halls quite yet, but that doesn’t mean you have to wait to enjoy the beauty of the season. 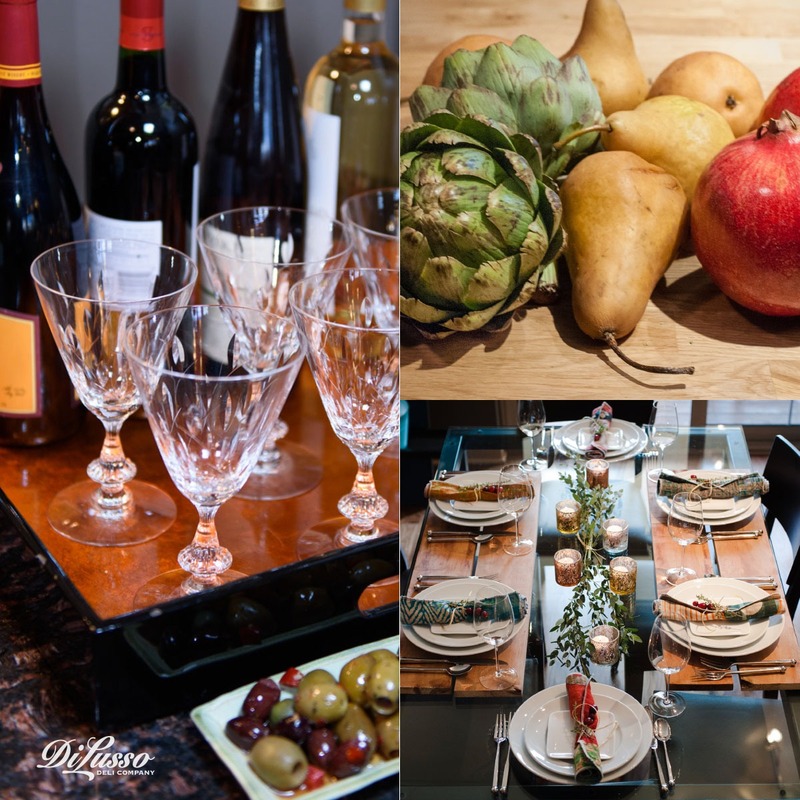 Decorating your home and table for the Thanksgiving holiday is a little like setting the stage for a beautiful and memorable play to a small, intimate audience of those you love the most. It’s a feast for the senses. Rich autumnal hues, soft lighting that sparkles and enticing, welcoming aromas mean something truly special is in store. Whether your style is lushly embellished or simply adorned, we’re certain these decorating ideas will inspire the perfect backdrop to the most important centerpiece of all – the laughter and love that will surround your table. One of the simplest ways to make the biggest impact with your entertaining décor and table touches is with color. Pair rich, traditional hues of pomegranate, paprika and mustard with olive greens and warm browns. Casual or opulent, you can’t go wrong with this harvest inspired palette. We chose a collection of mismatched tapestry napkins to pull color throughout the table and into each place setting. Classic white porcelain makes the food the hero and gives you the ultimate in flexibility when it comes to dressing a table. Natural elements bring the beauty of the outdoors in. We added simple planks of wood in place of chargers or placemats to create a sense of rustic elegance. For this we just picked up a piece of wood at a local home improvement store and had it cut to size. Inexpensive and impactful, this could just as easily be used as a runner down the middle of the table, adorned with fruit, greens and lighting. Nothing says festive like the flicker of candlelight. 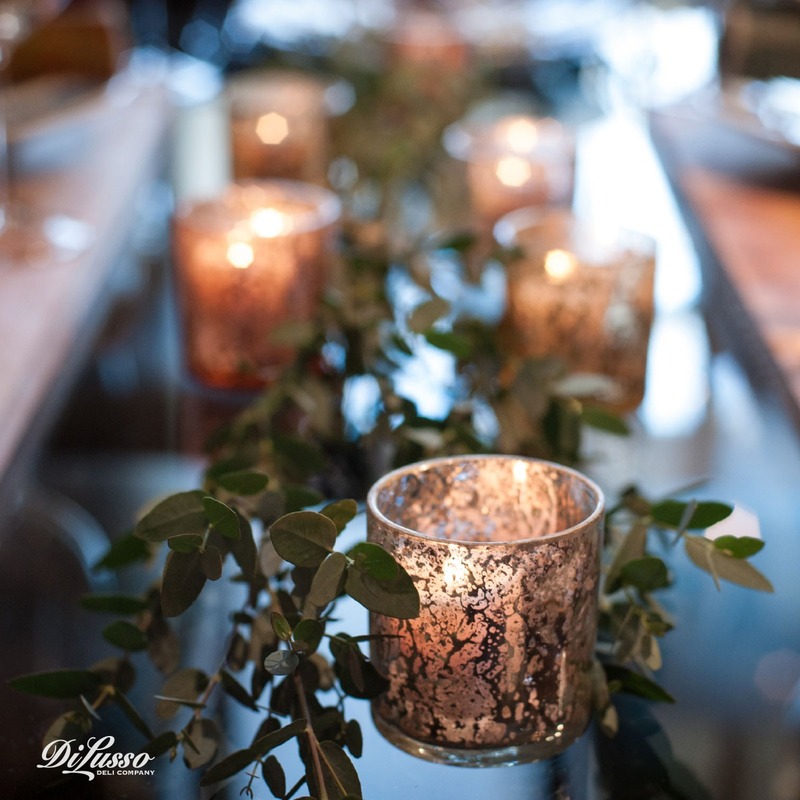 We placed two branches of small leaf eucalyptus directly on the tabletop, then scattered metallic mercury glass votives randomly on either side of the greens for a beautifully simple centerpiece. Choosing elements low in height means no one is talking over large arrangements or tall candles. We love adding little touches of candlelight and decor into unexpected places throughout the house too – the powder room, foyer, balconies and wherever our guests may wander. 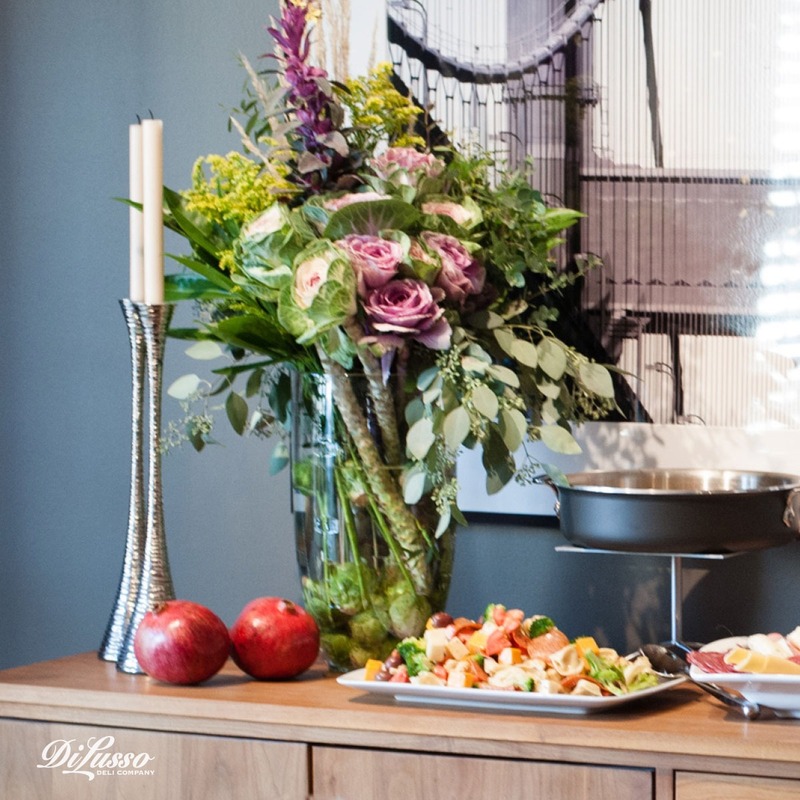 A buffet set up is a perfect solution when table space is at a premium. It’s also a beautiful way to showcase your most delicious of dishes. Think of your buffet as a landscape. Strive for a variety of heights. Anchor your presentation with a gorgeous and over the top arrangement of florals and natural elements. We chose stemmed cabbages, flowering greens and a variety of eucalyptus from the local farmers market. Fresh Brussel sprouts made a clever vase filler and helped to carry through the natural and rustic theme. Add simple touches of decor to place settings. We rolled our napkins and tied them with a single strand of raffia and tucked in sprig of fresh thyme. 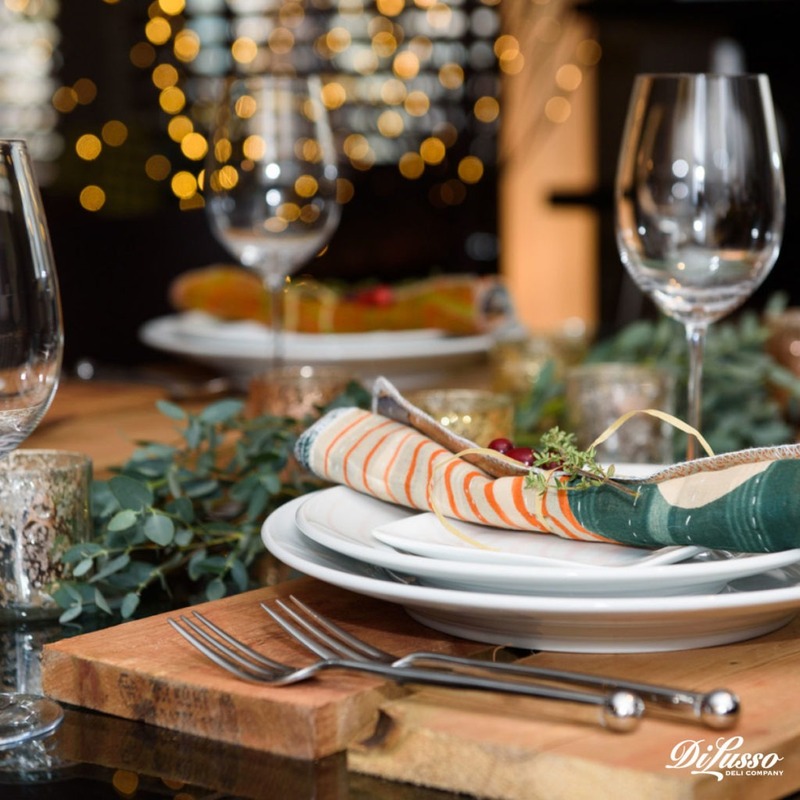 Take leftovers or small clippings from your buffet and table arrangements to add as place setting accents. It’s small details like these that make your guests feel extra special. Personalize your settings by inviting guests to share thoughts of thanks. Tuck a pencil in with the flatware and slip a piece of paper under the plate. Simple, unexpected and a wonderful way to inspire conversation and fellowship.